Better blood flow and healthier arteries starts NOW! 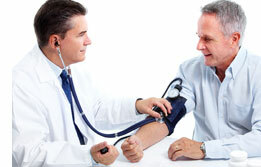 Blood pressure, perhaps more than any other health concern, is all about the numbers. The numbers that can make you dread going to your doctor. The numbers that can have your spouse "reminding" you at every meal about what is at stake. The numbers that literally can get worse the more you obsess about them. The numbers that mean your blood pressure is under control. Your spouse and your doctor are nagging you for good reason: High blood pressure can have you teetering on the edge of a cliff, struggling to maintain a healthy heart and cardiovascular system. I'm Joshua Corn, Editor-in-Chief of Live in the Now, one of the fastest-growing natural health publications in the nation. My passion for natural health drives me to seek the truth about the causes of health problems and to educate people on alternative solutions that are both safe and effective. Please keep reading, and I'll tell you about the help you may need to get your blood pressure under control, by tapping into the 21st century version of a safe, natural and inexpensive solution that people have used since Biblical times to maintain healthy blood pressure levels and overall cardiovascular function. If you're like most health conscious people, olive oil is a staple in your daily diet. Extensive research on it—and the heart-healthy Mediterranean Diet in which it figures prominently—has earned olive oil the reputation as one of the healthiest foods around. As it turns out, the lesser-hyped olive leaf may, in fact, possess the olive tree's most powerful healing attributes. 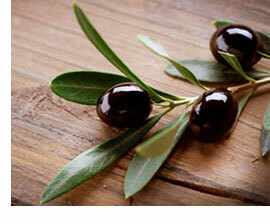 Recent research is showing that the olive leaf indeed has truly remarkable effects on human health. 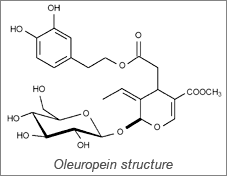 Scientists have known since the 1950s about oleuropein's ability to fight free radicals and support healthy blood vessels, but only recently has research revealed how effective a highly purified olive leaf extract rich in this amazing plant compound can be at promoting balanced blood pressure, normal cholesterol and triglyceride levels and optimal overall cardiovascular health. In the first test, which lasted 8 weeks, one group was given 500 mg of a highly purified olive leaf extract daily, while the other group only received advice on lowering blood pressure with lifestyle changes. The more scientists study the olive leaf, the more they've been impressed by its ability to promote healthy blood pressure balance. As I mentioned, it actually works in a few different ways to keep blood pressure under control. If you're looking for a natural way to support healthy blood pressure, in my opinion, you don't need to look any further than olive leaf extract. In fact, I wouldn't waste my time on anything else. Please note that the only way to get the amazing benefits of olive leaf extract shown in the research is by taking a dietary supplement. However, not just any supplement will do. If you just pick whatever you find on the shelf or buy a random product online, you could be missing out big time. Due to this fact, scientists developed a highly purified and concentrated olive leaf extract using special processing technology to ensure that the oleuropein does not break down easily. This is the only olive leaf extract I have found that stays fresh and potent, and for this reason it's the only one I recommend. It's also standardized to contain high levels of oleuropein and polyphenols, and it's the very same extract used in the clinical studies that have shown remarkable results. The special olive leaf extract I insist upon is extremely hard to find. And when you can track down a supplement that is made with it at the right dose, the price range is out of reach for most people. So I took it into my own hands to make it easy for my readers to enjoy the remarkable benefits of taking an effective and affordable olive leaf supplement. You see, in addition to my work with the Live in the Now newsletter, I also run a company called Stop Aging Now, which has been making premium-grade dietary supplements for over 20 years. Working with the company's Scientific Advisory Board, I created a truly effective—yet extremely affordable—olive leaf supplement. I call my formula OliPure BP™, and it works fast, is guaranteed to be effective and costs as little as $14.95 per bottle! This powerful formula provides an extra-strength 1,000 mg dose of the exact same olive leaf extract used in the studies I mentioned above, as well as two additional well-studied ingredients for blood pressure support, celery seed extract and magnesium—all in just 2 veggie capsules per day! I encourage you to do your own research to make sure I'm not just shamelessly promoting my own product. But here's why I am confident that OliPure BP is simply the best natural blood pressure support formula out there. ✔ Made with the Best Olive Leaf Extract Available Anywhere: OliPure BP is made with highly purified, standardized Benolea® brand olive leaf extract, the very same extract used in the clinical studies. ✔ A Research-Based Dose: OliPure BP is an extremely potent formula that provides the full 1,000 mg dose of Benolea® olive leaf extract shown in the research to have the greatest impact on blood pressure, as well as cholesterol and triglycerides. ✔ Quality You Can Trust: OliPure BP is guaranteed to be safe and effective. It's made in Stop Aging Now's own FDA-inspected facility located in Florida to meet or exceed the stringent USP standards for quality, purity, potency and disintegration. Plus, the olive leaf extract we use undergoes special treatment to remove any possible pesticide residues, contaminants and pollutants. ✔ It's Affordable and Risk Free: This amazing formula is available for as low as $14.95 per bottle for a one-month supply, which is less than many discount, low-quality brands. Plus it ships to you for free and comes with an "any reason" 365-day guarantee. That's right—take it for up to one year, and receive a full refund if you don't like it. I honestly want this product to be the solution you've been looking for, and I want you to WOW your doctor at your next checkup. But I'm sure you've heard many promises before, which is why OliPure BP comes with an unbelievable 365-day return policy. That's right...try it for up to a year and if it doesn't work, it's FREE. Even if you've taken every last capsule and are not satisfied, I will still give you every penny back. It also ships to you for FREE, so there's truly no risk! Nothing else seemed to work but this does. I am astounded at its effectiveness! My blood pressure is back down in a normal range. I am thrilled! I feel much more energetic. The great news about OliPure BP is that it goes to work quickly, and you'll start noticing the effects faster than you may have imagined. OliPure BP is a smart investment. I hope you'll give it a try! P.S. I promise that OliPure BP will have a remarkable positive impact on your blood pressure and overall health. If it doesn't work for you—it's free! Remember, it's not available in stores and ships to you at no cost. Hurry to take advantage of this special offer. 1. Nwankwo T, et al. Hypertension among adults in the US: National Health and Nutrition Examination Survey, 2011-2012. NCHS Data Brief, No. 133. Hyattsville, MD: National Center for Health Statistics, Centers for Disease Control and Prevention, US Dept of Health and Human Services, 2013. 2. Phytother Res. 2008;22:1239b1242. doi: 10.1002/ptr.2455. 3. Microvasc Res. 2012 May;83(3):281-9. 4. Chem Biol Interact. 2008 Nov 25;176(2-3):88-98. 5. European Medicines Agency. Assessment Report on Olea Europaea L., Folium. European Medicines Agency; London, UK: 2011. 6. Nutr Rev. 2009;67:632b638. doi: 10.1111/j.1753-4887.2009.00248.x. 7. Unpublished study conducted by Frutarom. Blood pressure reducing and lipid lowering effect of Benolea (EFLA 943) in stage-1 hypertension. 8. J Ethnopharmacol. 2008 Nov 20;120(2):233-40. 10. Toxicology. 2009 Nov 9;265(1-2):41-8. 12. Atta-ur-Rahman. Studies in Natural Products Chemistry: Bioactive Natural Products, Part 1000. Elsevier. 2011. 13. J Med Food. 2013;16(6): 558-63. 16. Curr Ther Res 1996;57(10): 767-74. 17. Trace Elem Electrolytes 2012;29(2):113-6. To see the guarantee for this product, click here. **Note: You will not be ordering this item from The Elijah List. Your order will be processed on the SAN site. Please contact them directly with any order inquiries or questions about this product.